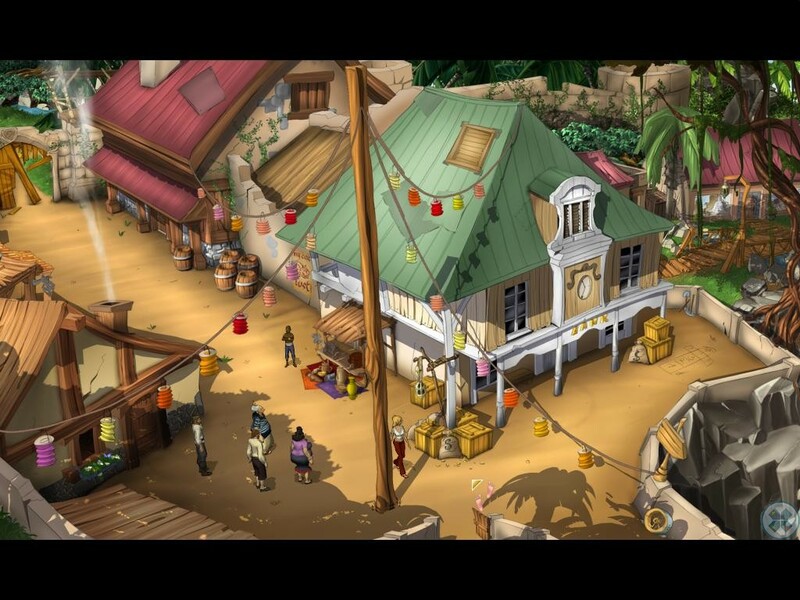 These days it seems that adventure games pop up all over the place, the same way that FPSs did a few years ago. With Sam & Max, Dracula 3, Dracula: Origin, Perry Rhodan, Experience 112 and the upcoming Simon the Sorcerer 4 and A Vampire Story among others, it is quite the understatement to say that such games abound. So how is one lone damsel suppose to stand out? 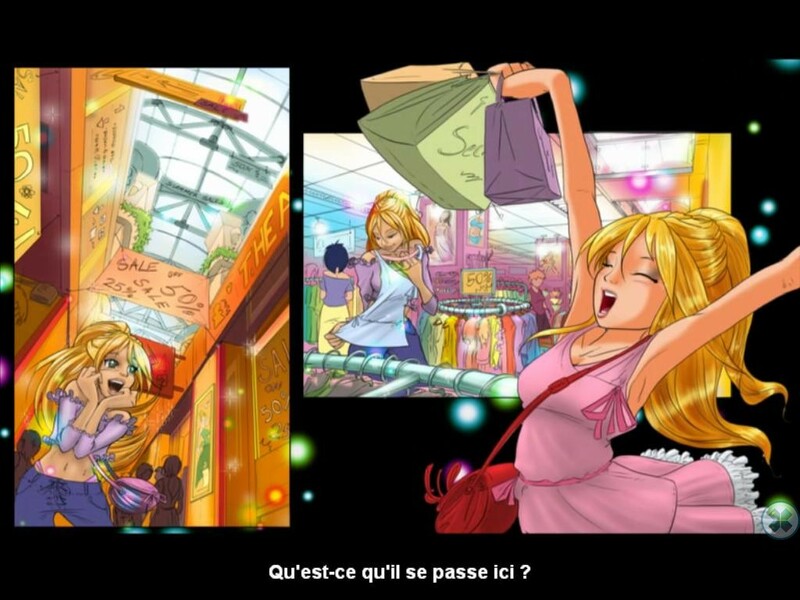 So Blonde is the first game developed by the French studio Wizarbox and the script is written by Steve Ince of Les Chevaliers de Baphomet fame (known in the U.S. as Broken Sword). 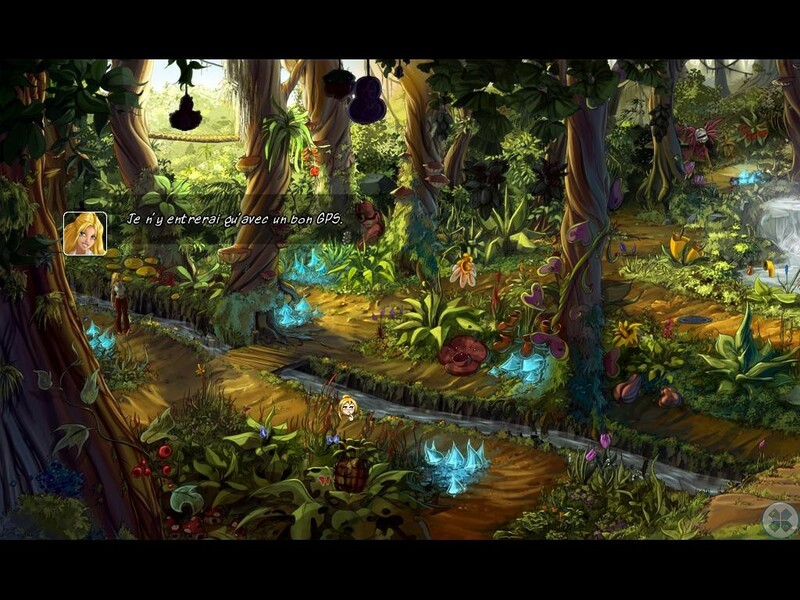 It is a very nice adventure game reminiscent of the golden days of Lucas Arts games. 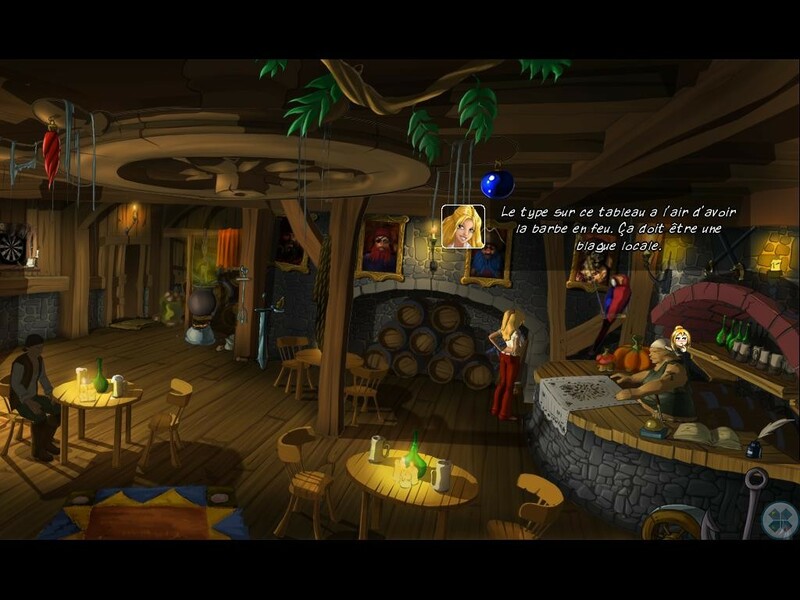 In fact So Blonde makes many mentions of Monkey Island which it emulates and parodies to quasi perfection. 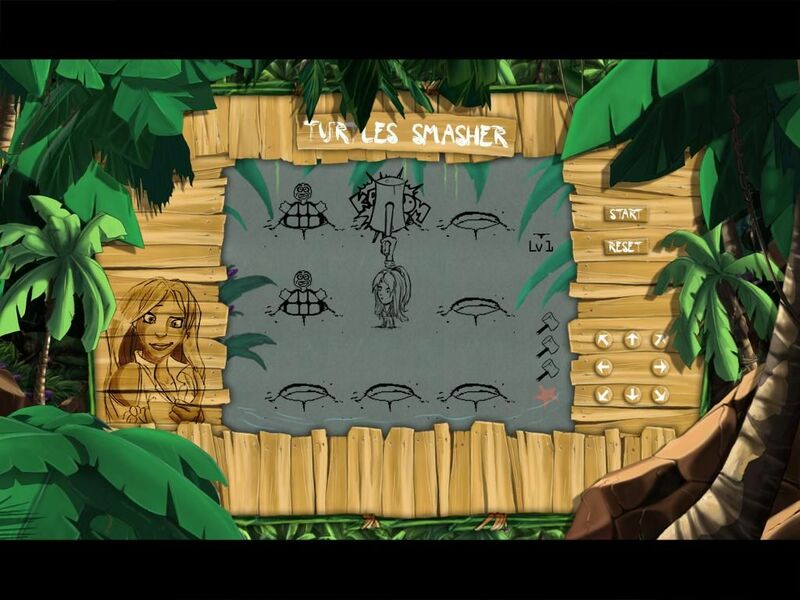 All the backgrounds are beautifully drawn and it’s a pleasure to walk through these settings ranging from the paradise beach and town to the gorgeous jungle and eerie swamps. The characters themselves are a bit different, when coming up close they can look a bit rough but at a slight distance they look perfectly fine and they all have very distinct personalities and looks so that you always know who is who. 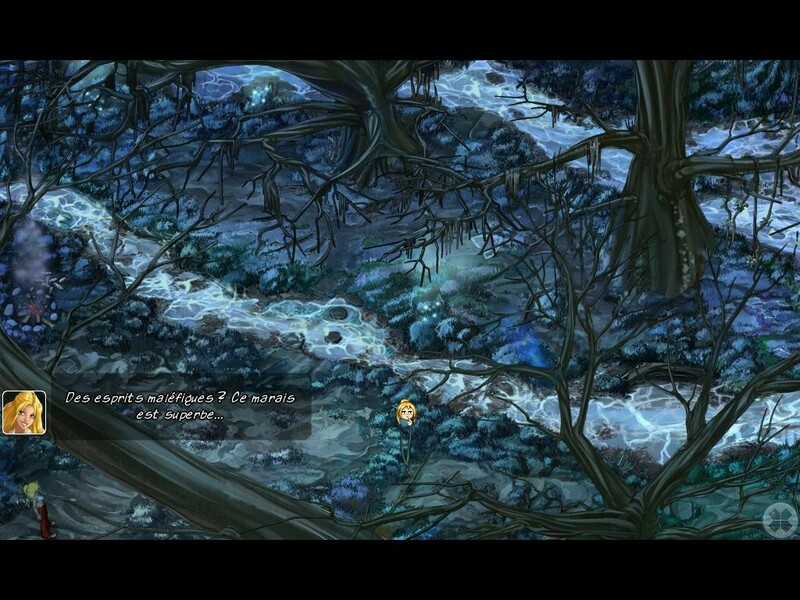 The cutscenes are also drawn and show up in a sort of comic book fashion so they look very nice as well. Throughout the game there are a few musics playing but mostly you will here the main theme which is playing 90% of the game. Thankfully this tune is very enjoyable and even though you will be hearing it a lot it never gets annoying. The voices on the other hand are all top-notch work. Everyone delivers great work and all the characters have depth and their voices fit them to perfection. The fact that the dialogues are also very good doesn’t hurt either. 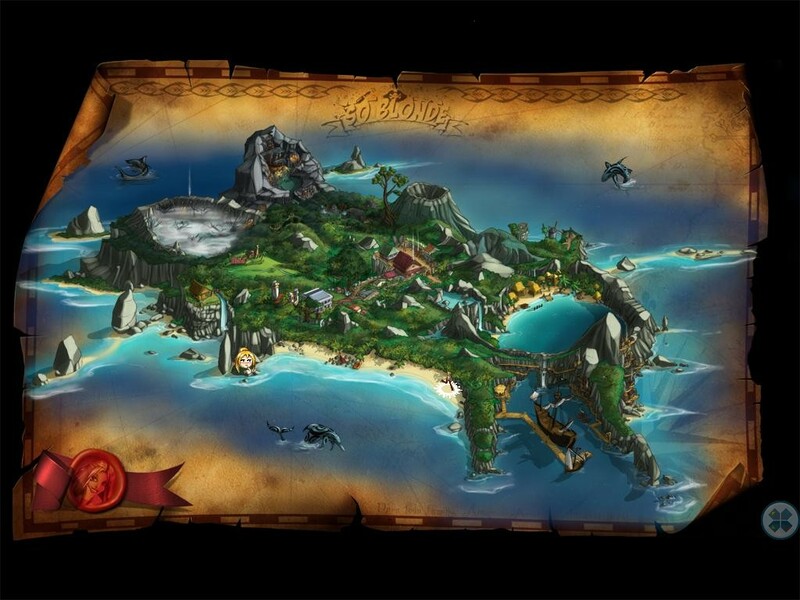 There is a plethora of pop-culture references running the gamut Lost, X-Men and Monkey Island (several times) to older cartoons and mythology. Either way you are certain to laugh often. It is worth mentioning that I played the French version of the game (no U.S. release announced yet but the game is out in Australia and is coming to the U.K in September) so I cannot vouch for the quality of any English dialogue, or for that matter some jokes that may be familiar to the French but not to other cultures. The Gameplay is very basic in the game. It is pure point & click, when you mouse over an item you can either view it or interact with it. You move the character by clicking on the screen as well so it should all feel very familiar to anyone who’s played a classic adventure game. On each screen you can press the space bar which will show you everything you can observe. While this can make the game a tad easy, it is a nice feature to have when you have played for a while and your brain is starting to slow down a bit. Most riddles aren’t hard to figure out, there are just a few times when you’re not given a hint as to where to go (usually the inn is a good place to start) and there is just two puzzles that i recall where I was thinking “ummmm….OK…….” so overall it’s a well balanced game. One very nice feature is the ability to skip dialogues by clicking and to double click on an exit to go instantly to the next screen (via a short loading screen which all look lovely). This is really a Godsend because once I was very much into the game and played for a while when the game crashed after an Alt-Tab. I hadn’t saved in 3 hours!! but thanks to this i was able to redo everything in less than an hour which was great. The game also features several minigames at various times which range from moving the mouse very fast or using the arrow keys to a bunch of old school games which are VERY much like Game & Watch games, which is a blast…from the past. 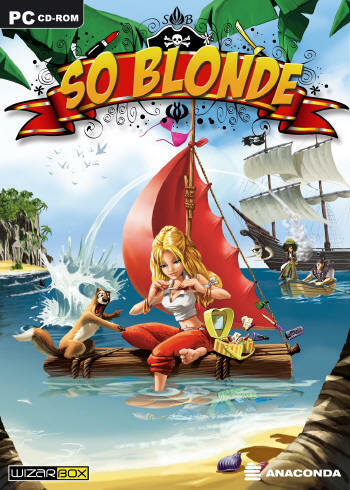 The story starts as Sunny (the heroin) is enjoying a nice cruise on the ocean but falls overboard and ends up on a paradise island. As soon as she wakes up she only has one thing in mind: finding a hotel and getting reception for her cellphone (OK that’s two). From then on she meets the local mayor, pirates, innkeeper which lead her on many adventures and so on and so forth. The plot, while not amazing in its depth is still very enjoyable, mostly thanks to the great voice work but also due to the fact that their are several subplots that occur as well and everything feels very tied together because the island and its people feel real. The game is about 15 hours long (I clocked in 13+ hours but i used a FAQ a few times). There are multiple endings with, I believe, three different choices. 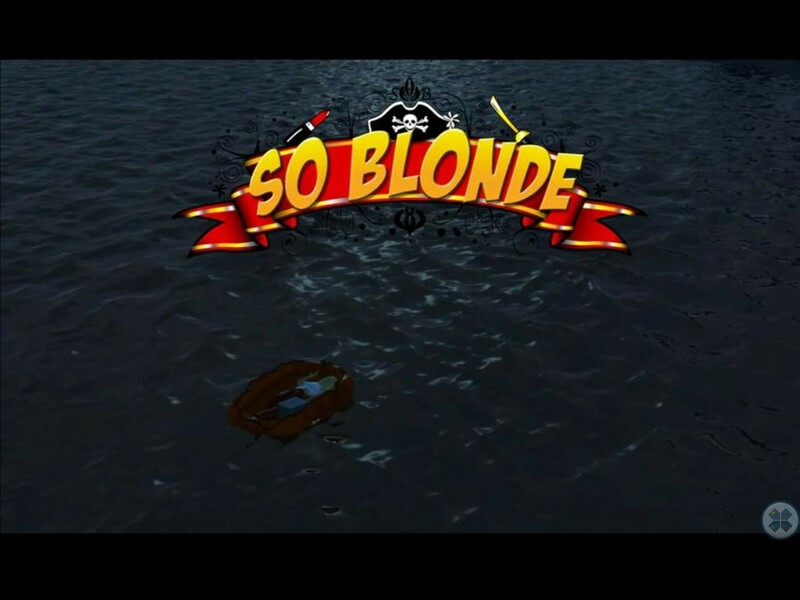 Overall So Blonde is a very good and enjoyable game that will remind old timers of the great Lucas Art games of the 90s like Day of the Tentacle, Monkey Island and Full Throttle. 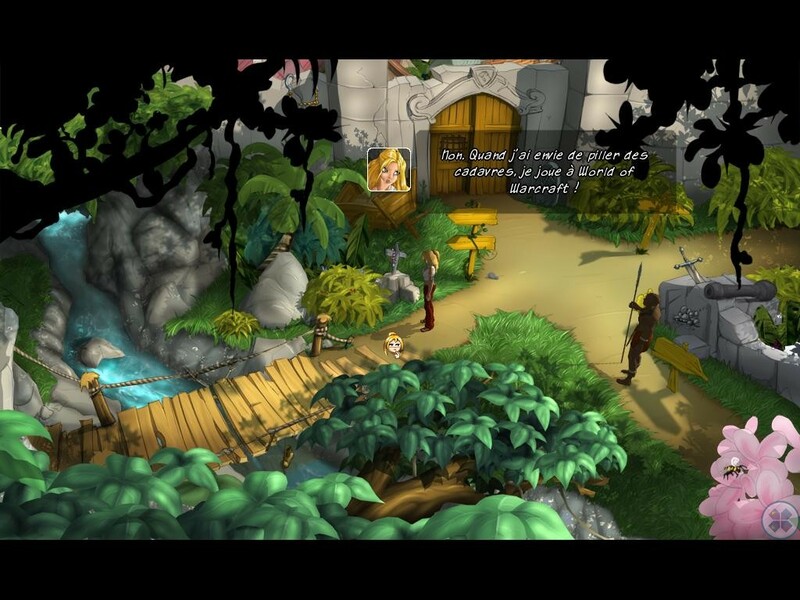 For the young’uns it is a great opportunity to get a feel of what great adventure games are. The only ‘?’ that remains is to see how the English voices were handled. If right, then I say go for it and have good time. This is one blonde who’s “not so blonde after all”. Thanks for a cool review. I remember playing Les Chevaliers de Baphomet on my PSX and loved it (aside from the rough controls). Then I played Les Boucliers de Quetzalcoatl (on PC this time) in boarding school and that was another blast. So thank you very much for these good times. I didn’t know that the game had been recorded in English originally but now that I think about it if the writer is British it makes sense. Is it customary for every game? 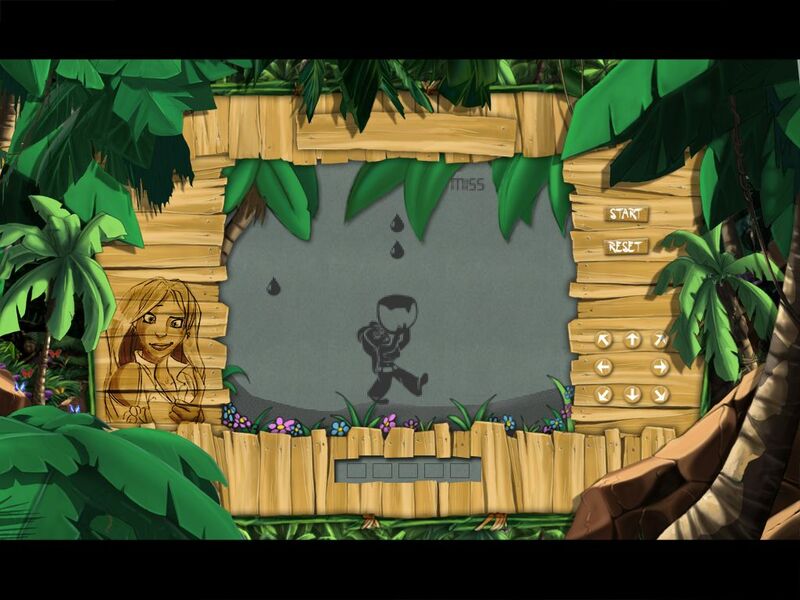 For example did Runaway record and write dialogues in English (even though it’s a Spanish game)? Because I’m a freak when it comes to playing games in there original voice work. Anyway i digress, Thank you very much for the comments and the great game. I tried playing this game, but tired of it very quickly. Ah well to each his own of course. They are very different games also. 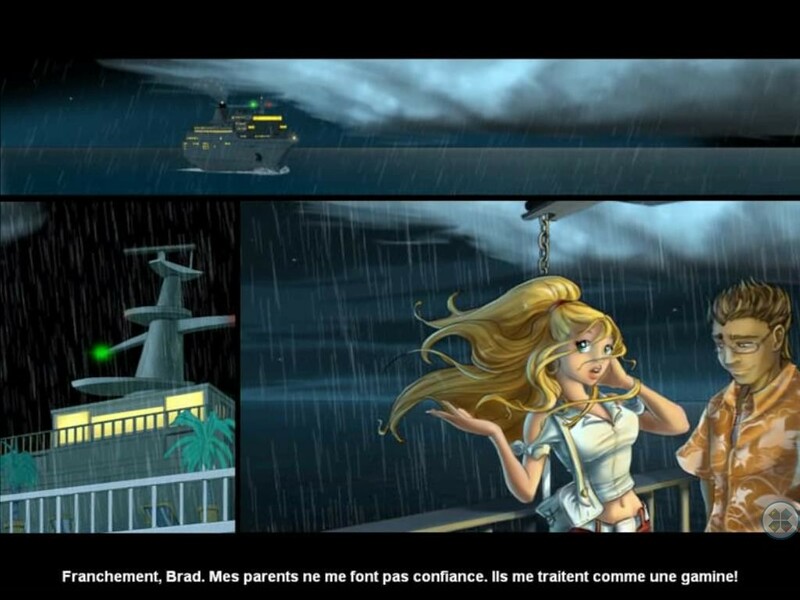 Broken Sword is heavy on plot and story whereas So Blonde is much more casual and filled with pop culture references. Very true, I just happen to prefer plot over casualness especially as I get older and find that more and more of the adventure games don’t actually have any adventure in them any more! Actually me too. 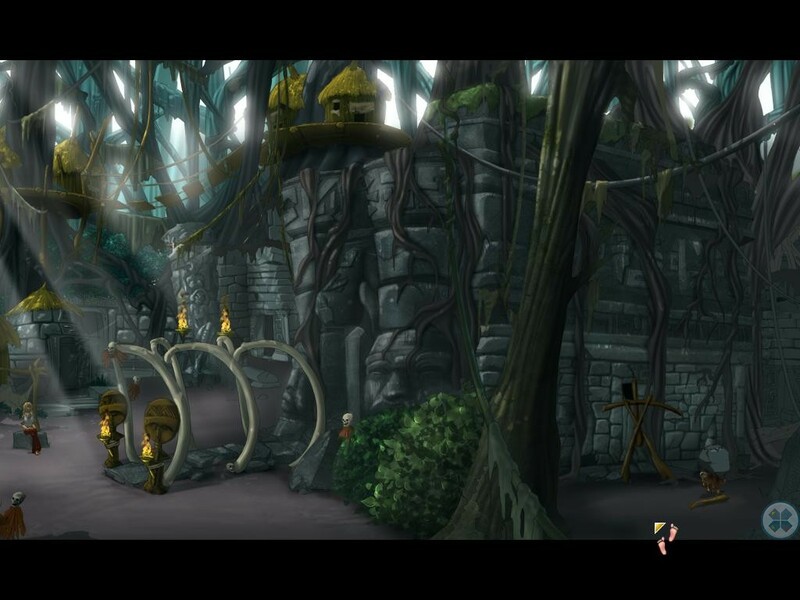 The Dig being my favorite adventure game ever I think…. 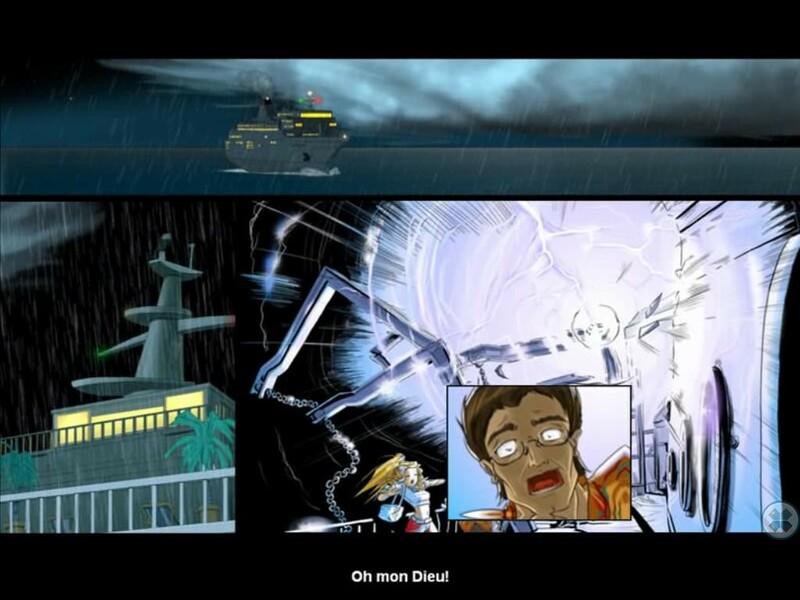 though Grim Fandango was so good…. actually I can’t say. I love them all, it depends on my mood and what games I played the weeks before. I just finish beating mass effect 2. This sequel comes with awesome graphics compare to the first one. Here’s a somewhat short review on mass effect 2. The game starts very shortly after the previous one and Shepard is now a human hero. A very cool thing is that if you have your save file from the first game this will affect many things in the sequel depending on the decisions you previously took. Mass effect 2 is more of the same but with many great changes such as you no longer have an inventory like in most normal RPG’s. You’ll get very quickly tired of hearing “probe away” while scanning a planet for resources. The sequel is a lot more of a first-person shooter than the previous game. In fact I would say this one is more of a first-person shooter with a very well done and detailed storyline with great realistic party members. The new delay between shooting that was overheating previously is now simply reloading your gun like in most first-person shooters. I haven’t played it yet but that seems to be the consensus yes.